Buying a house in Florida is similar to buying a house in other parts of the country. However, Florida's climate, high foreclosure rate and mixture of permanent residences and vacation homes make the state's real estate market a bit different. Take these things into consideration as you shop for a home in the Sunshine State. Homeowners insurance will not cover damage and destruction caused by flooding. In other parts of the country, that's no big deal because you have the option to buy a home well outside of a flood zone. The entire state of Florida is a FEMA-designated flood zone, with certain parts of the state obviously riskier than others. Most homeowners in Florida will require flood insurance of some kind, even if your home is located in what FEMA considers a "preferred risk" zone. Hurricanes, tropical storms and heavy rains all make Florida home buying especially sensitive to flood insurance. The heat also brings insects, particularly termites, and high air conditioning bills. Budget for a pest control service and higher electric bills throughout the year. 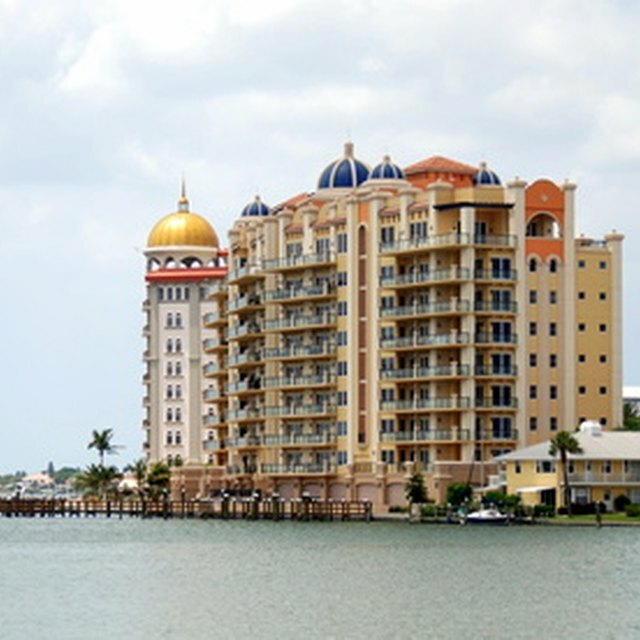 Many Florida neighborhoods are developments or new construction. That might mean buying in a gated community or choosing a townhouse residence with communal amenities such as swimming pools, fitness centers and bike paths. Expect to become a member of a homeowners association when you buy a home in Florida. That association will assess dues in exchange for the maintenance and upkeep in common areas. That won't be included in your mortgage, so budget for it. You'll also be bound by the rules and regulations adopted by your association. This might restrict your ability to install satellite television, prohibit lawn signs and basketball hoops or require prior approval before you move in a pet or paint your door. Since the national real estate market began recovering after the collapse that ending in 2009, home prices and values have steadily begun increasing. In Florida, foreclosures are still dragging out, especially in cities like Miami, Jacksonville, Orlando and Tampa; a lot of the homes on the market are still involved in the foreclosure process. This can slow down the process for a buyer, so talk to your real estate agent if you want to close quickly. Ask to see only houses that are not short sales, bank-owned or foreclosures. Another consideration when buying a house in Florida is that the market is packed with investors and second home buyers. You will be competing with buyers who are investors looking for rental properties and vacation homes. Who Is Required to Have a Windstorm Insurance Policy in Florida? What is a Jumbo Mortgage in California? What Happens to Liens in a Foreclosure? Any real estate purchase involves laws and regulations specific to where you're buying. In Florida, it's important to pay attention to joint ownership when a husband and wife both buy a house, even if the mortgage is in only one spouse's name. The state will refer to the property as "estate by entirety," which ensures the house passes easily from one spouse to the other in case of death. The Florida Construction Lien Law is also worth considering if you're buying a property that is not completely built yet. Make sure the sellers or the developer has paid all the building costs so you are legally protected.